Chinese telecom-equipment maker Huawei Technologies Co. Ltd. is planning to enter the smart-TV market this year, multiple sources close to the company told Caixin on Tuesday. An initial model is expected to be released in the second quarter of this year, probably under the firm’s Honor brand, the anonymous sources said. Caixin asked Huawei for confirmation, but the company declined to comment. One person familiar with the matter said Huawei has been preparing to enter the market since at least last year, recruiting research and development staff and salespeople from seasoned domestic TV-makers like Skyworth and TCL Corp. to an approximately 300-person team under the company’s internet of things (IoT) department. Huawei has signed an agreement with display-panel manufacturer BOE Technology Group Co. Ltd. under which the latter will supply LCD panels, and will manufacture the first model, according to another person close to the deal. Smart TVs provide video content from their own online platforms or from partners that offer streaming content. The devices are usually priced less than traditional sets to attract buyers. In 2017, smart TVs dominated the television-set market with an 86% share, according to Beijing-based data firm All View Cloud (AVC). However, in that year, sales volume of smart TVs dropped 2.3% to 4.1 million units, compared with a gain of 21% the year before, AVC data shows. Industry rivals, including both traditional-TV-makers such as Skyworth and tech firms like Xiaomi Inc. and LeEco, have all launched their own models in recent years. 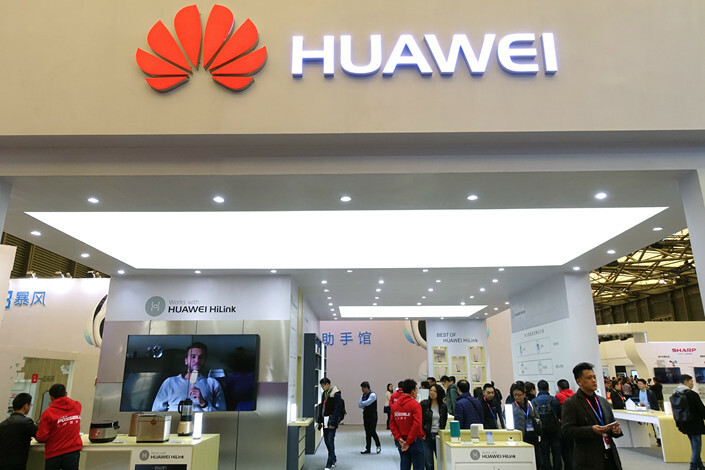 Analysts said Huawei is pursuing the TV business now as part of its strategy to combine next-generation fifth-generation (5G) wireless technology with artificial intelligence and to connect everything with the internet. Home-appliances analyst Liang Zhenpeng said it is not a surprise that Huawei is now entering the smart-TV market. The company has already started selling home appliances such as smart speakers, so adding a TV to its offerings is an extension of its IoT appliance endeavors. The Chinese telecom giant has faced headwinds in recent months, confronting growing hurdles from foreign regulators over national security concerns. Countries that include Australia, Britain, Canada, Germany and Japan have all recently taken steps to curb its involvement in their rollout of the next generation 5G telecom networks. 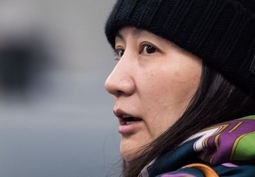 The U.S. Justice Department on Monday unveiled two indictments against Huawei, including nearly two dozen alleged crimes of bank and wire fraud, obstruction of justice and technology theft. However the company has remained upbeat on its growth, according to its 2019 sales target released on Jan. 18. The year-round sales target is set at $125.9 billion, including $65 billion from consumer sales, a big increase from its 2018 goal.